US West Texas Intermediate (WTI) futures were down 7 cents at $67.63 per barrel. Singapore: Oil prices on Wednesday fell back from more than three-year highs reached the previous session as rising US fuel inventories and production weighed on an otherwise bullish market. Brent crude oil futures were at $73.74 per barrel at 0238 GMT (8:08 am in India), down 12 cents from their last close and over $1.7 below the November-2014 high of $75.47 a barrel reached the previous day. US West Texas Intermediate (WTI) futures were down 7 cents at $67.63 per barrel. That was also off the late-2014 highs of $69.56 a barrel marked earlier in April. Despite Wednesday's dips, which traders said were also a result of profit-taking after Tuesday's highs, many analysts say the period of oversupply that started in 2014 has now ended due to supply disruptions and also strong demand. That has been driven by production cuts led by the Organization of the Petroleum Exporting Countries (OPEC) which were introduced in 2017 with the aim of propping up the market, but also because of political risk to supplies in the Middle East, Venezuela and Africa. Because of the tighter market, the forward curve for Brent is now above $70 per barrel until the end of 2018, and prices are above $60 per barrel through 2020. "Market sentiment is turning increasingly bullish towards the commodity," said Lukman Otunuga, research analyst at futures brokerage FXTM. Despite this, Mr Otunga said "the sustainability of the rally is a concern" as it was fuelled largely by political risk in the Middle East. "With rising production from US shale still a key market theme that continues to weigh on oil prices, it will be interesting to see how much oil appreciates before bears enter the scene," he said. With most US producers now profitable at prices under $40 per barrel and the forward curve significantly higher than that for years to come, American drillers will likely continue to increase output as they are able to hedge themselves profitably for the foreseeable future. US crude oil production has already shot up by more than a quarter since mid-2016 to over 10.54 million barrels per day (bpd), taking it past Saudi Arabia's output of around 10 million bpd. Only Russia currently produces more, at almost 11 million bpd. 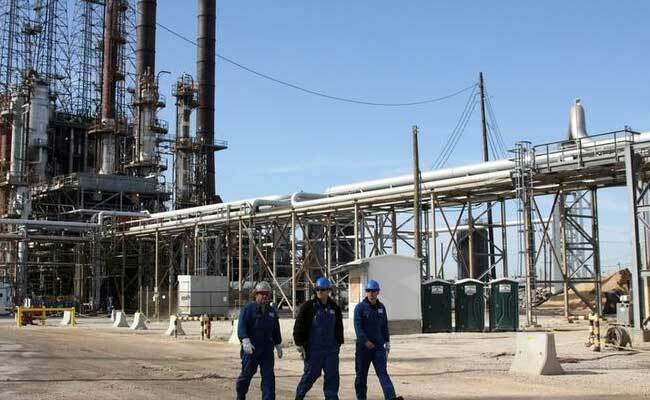 US crude inventories rose by 1.1 million barrels in the week to April 20 to 429.1 million, according to a report by the American Petroleum Institute on Tuesday. Official weekly US fuel inventory and crude production data will be published on Wednesday by the Energy Information Administration (EIA).